Muddy paw prints, suspect smells and unidentifiable stains that simply refuse to budge. If this sounds like your carpets at home in Oakville or Burlington, it’s probably time to have them properly cleaned. Carpeting your home is no small investment; costing on average between $3500 and $6000, so you’ll want to make sure your local Oakville and Burlington carpet cleaner knows what they’re doing. 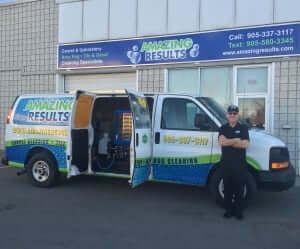 One of the most common questions I am asked prior to booking a job in Oakville or Burlington is the carpet cleaning method we use at Amazing Results. While there are a number of cleaning methods, Amazing Results uses the truck-mounted steam cleaning or hot water extraction method. Carpet manufacturers recommend steam cleaning as the preferred method of carpet cleaning to invigorate and prolong the life of the carpet. This is the only method classified as “deep cleaning”. All of the others are considered “light surface cleaning” or “interim cleaning” because they are unable to remove soil deep in the pile. These other systems leave residues, which promote re-soiling and defeat the whole purpose of cleaning. Our process consists of spraying a heated solution of water and detergent into the carpet pile at a high pressure and recovering the water and soil with a powerful vacuum into a holding tank. This is done from our truck-mounted unit positioned outside the home with only the hose and floor tool brought inside. The use of chemicals is kept to a minimum because of the high heat involved in this process. Carpets tend to dry quickly with this method because of the exceptional suction of our truck-powered equipment. From a health standpoint, the truck-mounted system is preferred because the dirty air and humidity are exhausted outside rather than re-circulated around the house. 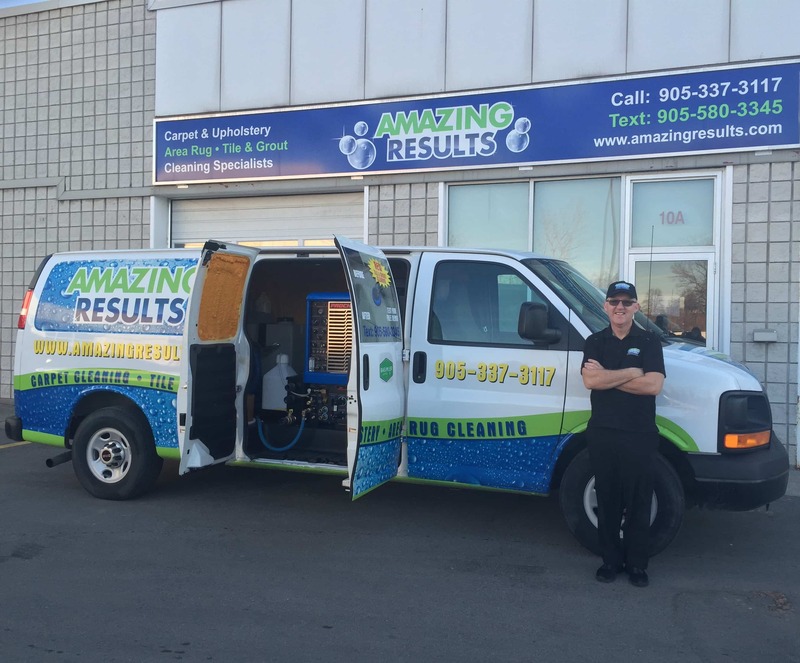 You can trust Amazing Results to clean your carpets in Oakville and Burlington using only the best equipment and the most recommended carpet cleaning method. Contact us today – You’ll Be Amazed!